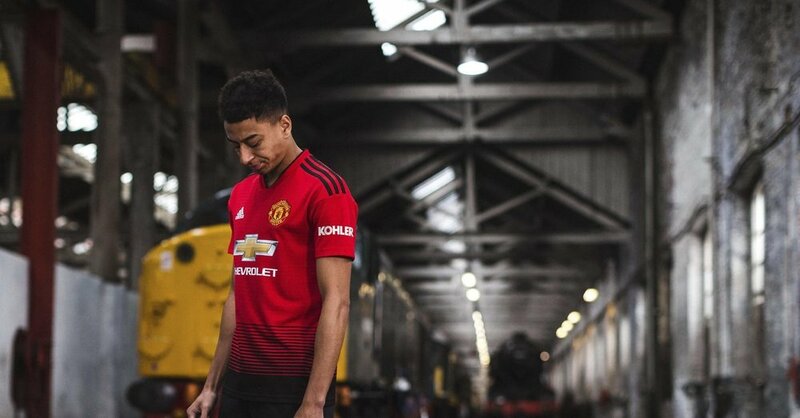 Manchester United has released their new home kits inspired by the Railway Men of Newton Heath. The train track graphic at the bottom of the jersey was created from the club's original name, Newton Heath Lancashire, and Yorkshire Railway Football Club. This kit is the first for Manchester United that features a shirt sleeve partner logo on it.